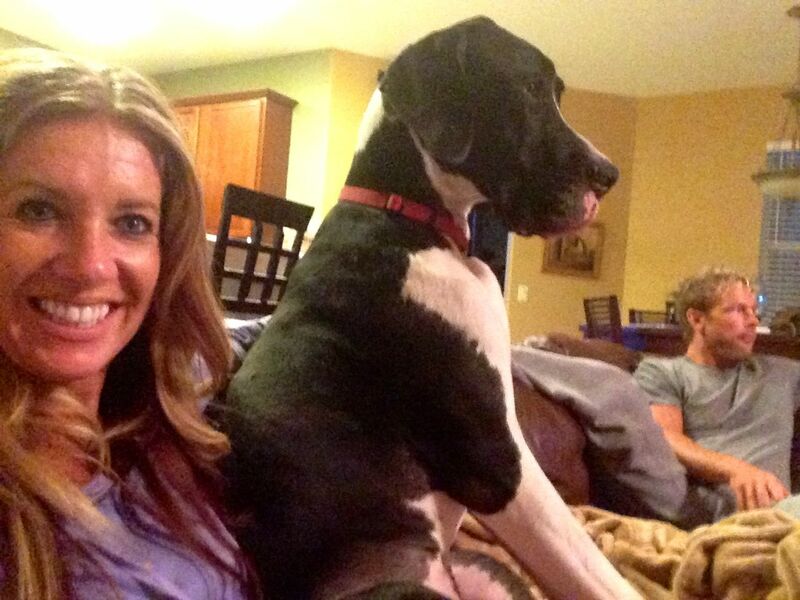 I’ve never had a dog that seemed interested in the TV until Marley. 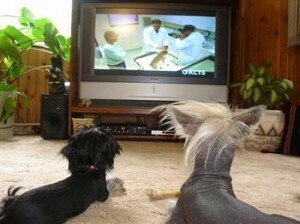 I noticed it one day when a commercial came on with a Harlequin Great Dane and a Chihuahua. As soon as Marley saw them he perked up. 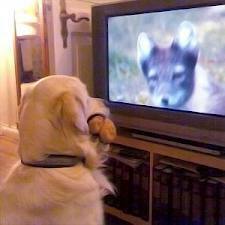 Neither dog had made a sound, so I knew he was totally stimulated purely by sight. He kept watching the entire commercial until it was over. 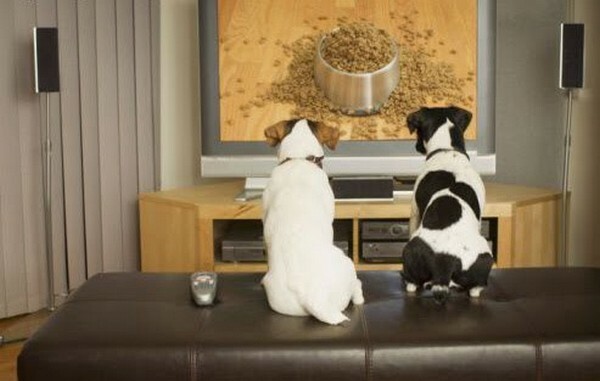 All my other dogs would only perk up if they heard a dog parking or whining on TV (and only for a second), but I had never seen this kind of real interest before. The only reason I used to turn on a TV for a dog was to drown out the sound of thunder or fireworks. 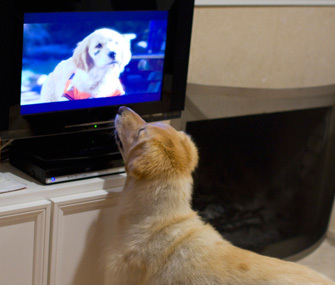 But Marley continues to watch TV and look for things that he is interested in – and like a child, he doesn’t like most of what we watch, but he sure love watching all kinds of animals and a lot of funny commercials. So, when I saw a commercial for Direct TV’s new DogTV channel, I could totally see how that might be stimulating for a dog like Marley, which could be very healthy. DogTV did a lot of research on what dogs like. 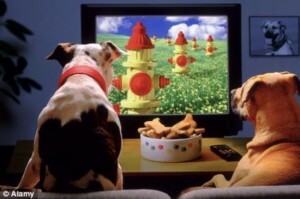 Every frame and every sound on DOGTV is designed 100% for dogs. They created content to meet the specific attributes of a dog’s unique sense of vision and hearing. That’s also why it may look a little funny to us when we watch their shows. The brightness, contrast, sounds and even camera angels are designed for a dog, not a human. Even their programming has a very specific purpose, focusing on relaxation, stimulation and exposure. Bottom line, this channel is no joke. They did their homework. This video is an example of their stimulating programming. Notice the low camera angles and all the doggie action. Also, think about all the things we watch people do. 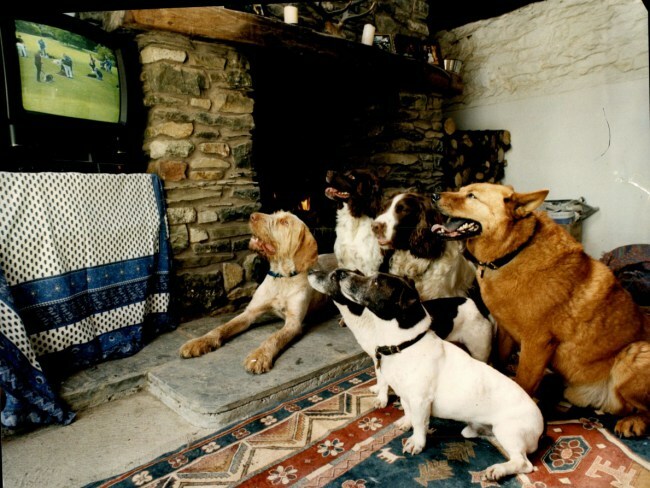 We watch them play sports, we watch them talk, walk, dance, sing, play with each other, give each other affection – so why wouldn’t they enjoy watching their fellow dogs do the same? 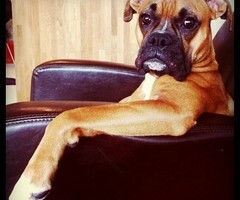 If we sit on the couch and people watch, no wonder they like dog watching! 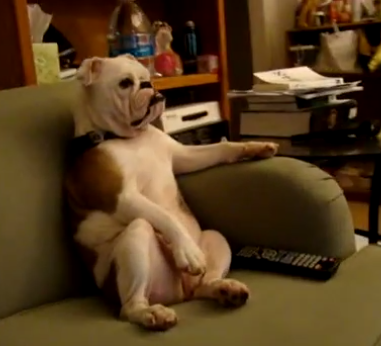 There are over 5,000 videos of dogs watching TV. 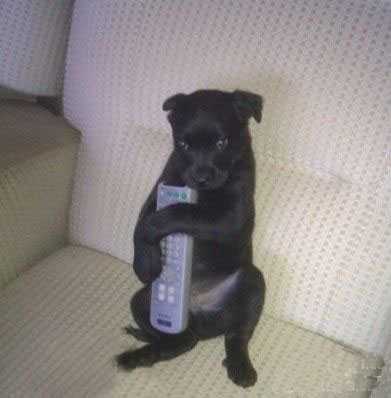 You can see clearly how happy this puppy is watching Air Buddies. Just look at his tail wagging like crazy! He is LOVING it!